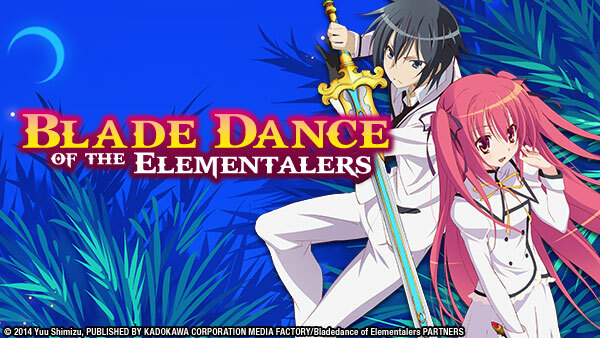 Sign up now to stream Blade Dance of the Elementalers, subs, tons of dubs, OVA's, simulcasts, plus the all new Dubcast℠ editions and more! Kamito, the only known male elementalist, gets admitted to the all-girl Areishia Spirit Academy. Trouble ensues when he gets on the wrong side of his classmate, Claire Rouge. Rinslet and Claire fight over Kamito, both vying for his attention. When the knights show up and disrespect the ladies, it leads to a war of wits and a resulting duel. The dueling teams have bigger fish to fry when they find themselves battling an evil demon spirit, bigger than they can handle. Claire is involved in a contracting ceremony. She wants to gain power by obtaining spirits, but she might be in more than she bargained for when she enters a Blade Dance. Everyone wants Kamito to join their team, but his allegiance lies with Claire. Meanwhile, a girl of noble order transfers to their school and Kamito is asked to protect her. Princess Fianna just got to Areishia Spirit Academy, and she's already causing problems. In fact, she's already challenged Claire to a duel! The girls fight over Kamito as they all set on a new mission, only to find Ellis and the Ordesia order girls fighting what could be the true successor to the Demon Lord. The madness works its way to a fever pitch as Kamito and the ladies come to a battle which is much bigger than they could've ever imagined. Ellis asks Kamito to join Sylphid, her Bladedance team, and he reluctantly agrees in return for some compensation. When Claire discovers the news, she’s heartbroken. Ellis’ sister is drunk with power as she almost blows up the entire town in her wake. Ellis, Rinslet, and Claire join forces as Team Scarlet just in time for the Blade Dance. The girls must fight against their strongest opponent yet. Can they handle the unwieldy power of a cursed seal? Will Kamito be able to help even though he’s injured?